It has been a while since I’ve posted anything here but I have a very good reason. My blog has been picked up by TechRepublic and most of my posts are going to be hosted there for the foreseeable future. Believe it or not, they actually pay me for this stuff. 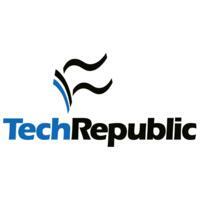 I’m going to look into adding the links to my blogroll here but please follow me on TechRepublic if you can. This entry was posted in Uncategorized and tagged TechRepublic. Lately I’m getting asked to explain the difference between virtualization and cloud computing. I like answering this question because it shows that the person asking the question has at least enough knowledge to identify that there are similarities but that they are probably not the same. Explaining the difference to this type of questioner is not usually a problem. With the rest of this post I’ll try to explain some of what it depends on and why there aren’t any simple answers. I’ll also give some examples of the beginnings of some more complicated answers without getting too technical. The question worded a little differently: Aren’t Virtualization and Cloud Computing the same thing? Remember that Cloud Computing is a delivery model and that Virtualization is a technology. Virtualization as a technology may be used at the back end of a service that is delivered with a Cloud Computing service offering but not necessarily. Virtualization is only one of the building blocks for cloud computing and there are many types of virtualization (server, desktop, application, storage, network, etc.) so categorical statements about virtualization and cloud computing is risky. It really depends on what is being virtualized an how it is made available by the cloud provider. There are different Cloud styles (fabric based, instance based, etc. ), service models (Saas, PaaS, IaaS) and deployment models (private, public, hybrid, community). Thus, an answer with any significant depth that is correct when describing a fabric based community PaaS will most likely be incorrect when applied to an instance based private IaaS. At the risk of oversimplifying let’s just consider a simple VM running on a bare metal hypervisor based virtualization platform. Although the hypervisor abstracts the hardware and makes it available to the VM, the VM is still bounded by the physical server itself. What I mean by this is that although you may be able to move a live VM from one physical server to another, the entire VM (memory and processor resources) must reside on one physical server and a single virtual LUN is required for storage. Something very similar is the instance based cloud (in fact Amazon’s EC2 uses Xen based VMs at it’s core). This one-to-many relationship between physical resources and user containers (call them VMs if you like but technically they should be referred to as instances) obviously puts limits on the linear scalability and redundancy of this cloud approach. For many, this scalability limitation is offset by the ease of porting an application to an instance based cloud. Fabric based clouds achieve higher scalability through the use of a fabric controller that keeps track all of the computing resources (memory, processor, storage, network, etc.) and allocates them as services to applications. The physical resources can be distributed among many physical systems. Again, at the risk of oversimplifying, the fabric controller is like an operating system kernel and the fabric itself acts similarly to a traditional OS as far as its relationship to a specific application. Fabric based clouds have a Many-to-Many relationship that allows a many applications to use resources on many physical resources. This model results in superior scalability and theoretically less downtime. However, this comes at the cost of application compatibility as applications must be designed to run in a fabric. So yes, in some instances (pun intended) cloud computing is just large scale server virtualization but cloud computing is not necessarily the same as virtualization and there are many examples of cloud computing that are significantly different from traditional virtualization. This entry was posted in Cloud Computing, Virtualization and tagged Cloud Computing, Fabric, Instance, Virtualization. We keep hearing that it doesn’t matter if your machine is physical or virtual. Your software will still work just fine. That’s true most of the time but there are some exceptions. Monitoring is one of those exceptions. In truth, the monitoring tool will work and will give you accurate information but it will be meaningless. Remember that in a hypervisor based virtual environment, the guest OS is typically unaware that the hardware has been abstracted and that resource scheduling is taking place to provide shared computing resources based on some preset business rules (some guests may be configured to get more resources than others). In a scenario like this, a legacy monitoring tool that is targeted at the guest VM, may get false positives concerning resource availability. Typically you might see near 100% CPU consumed. This will be based on the telemetry coming back from the guest VM indicating that it is nearly out of resources, when in reality, there may be more resources available just not committed or allocated to that VM at that point in time. To get a more realistic and complete view of what is actually happening, the monitoring tool would need to monitor the hypervisor and all of the guests correlating the telemetry form all of them and providing a more holistic view of the availability of resources. Products like this are starting to emerge. Make sure that when you plan to migrate a server or application to a virtual environment you also plan for the monitoring requirements. This entry was posted in Uncategorized and tagged Monitoring, Virtual Environments. Maybe Everything Shouldn’t be in the Cloud? This entry was posted in Cloud Computing.